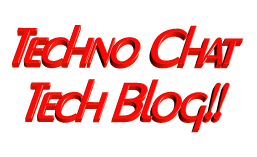 Multithreading in PowerShell | Techno Chat|Tech Blog!! Automate task using script is always helpful, it reduced human error and efforts, but sometimes it still takes a lots of time to execute same command on multiple remote servers one by one. For example, my disk utilization script, it works perfectly fine, but taking lots of time to generate report for thousands of servers. To get the result faster I started looking for using Background Jobs, and the result was really promising. Earlier approx. for 500 servers, it took almost 10 to 15 seconds each and total more than 2 hours, and after using PS Background Jobs, it takes less than 5 minute to generate the report. Posted in Admin Tools, PowerShell, Scripts, Server, Windows. Tagged Multi threading, Multi-threading using jobs, Multithreading in PowerShell, PowerShell Background Jobs, PowerShell Jobs, PowerShell Multi-threading, Powershell Run Commands in Parallel, Working with Jobs in PowerShell.